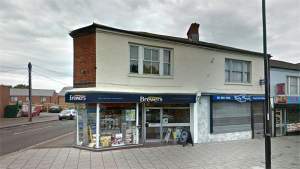 With a collective experience of nearly a 100 years the Woolston branch has everything you would expect from a Brewer branch, a good range of trade and designer paints, wallcoverings and decorating accessories. We pride ourselves in being friendly, helpful and very knowledgeable in our products so for advice on any product or decorating issue, just ask one of our expert team. If it isn’t in store, we can usually have it here in as little as one working day. Know locally as Woolston branch we can be found opposite the Itchen Toll bridge. On the Portsmouth Rd coming from the A3025 we can be found on the left hand side.